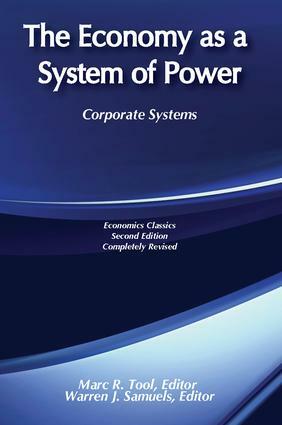 The articles in this volume address the fact and use of economic power in the American economy. The institutional economists' perspective exhibited here reflects a century-long focus on and concern with economic power begun by Thorstein Veblen. This volume presents a new generation of institutionalist scholars who add to that tradition a fresh and penetrating analysis of contemporary power centers and assessments of their use of power.